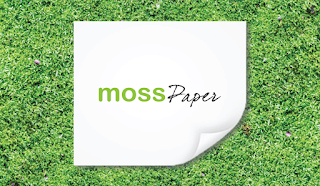 The quote and contract management app called Mosspaper expanded the arsenal of tools that a sales professional can use to organize prospects and quickly respond to requests for price quotes and contracts. Sales people and independent contractors got a reliable platform to keep their workflow on target and on time. Features in the Mosspaper Outlook add-in let users easily add new business contacts, create a quote or contract and sync incoming email messages without leaving their inbox. Mosspaper says having the program work inside Outlook will improve sales efforts by delivering a higher level of customer tracking. Users can add new contacts to Mosspaper with one click, create a quote or contract within Office 365, allow other designated people to to view the status of a quote or contract at any time by viewing incoming emails and linking important email messages to a customer’s quote or contract so all emails in an important conversation can be easily viewed. More details about the Outlook integration are available on the Mosspaper website and the add-in can be downloaded for free in the Microsoft Office Store.